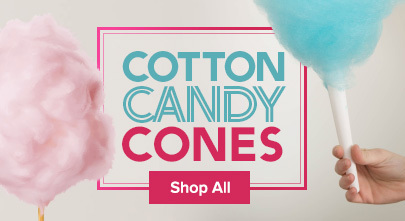 Whether it's perfectly packaged in a plastic bag or piled high atop a classic paper cone, cotton candy is sure to appeal to all of your patrons! A popular staple at any fair, midway, concession stand, or fundraising event, cotton candy boosts impulse sales and yields one of the highest profit returns. This concentrate helps you save money while preparing deliciously light and fresh cotton candy with a melt-in-your-mouth, sticky-sweet taste that your customers love. 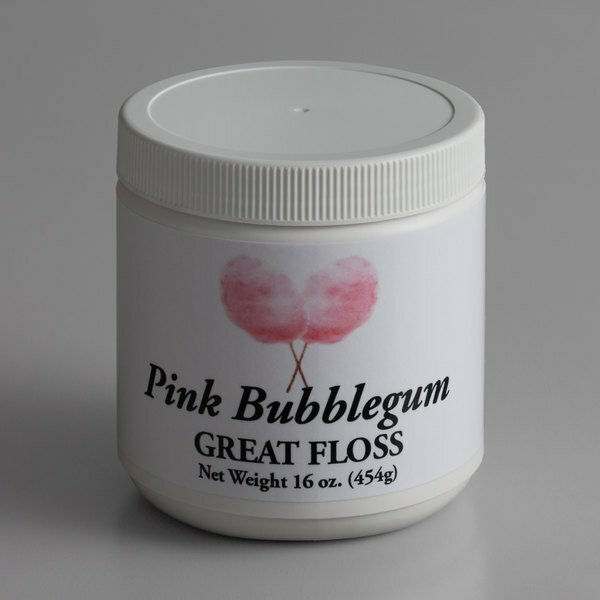 Though many amusement parks use premixed floss sugar to make cotton candy, you can easily mix this Great Western Great Floss pink bubble gum floss sugar concentrate with granulated sugar to produce fantastically-flavored cotton candy, and your patrons will notice the difference! This cotton candy concentrate gives cotton candy the proper look, proper aroma, and great taste every time it's spun. Its playful pink color offers a classic look, while its bubble gum flavor brings something new to your carnival cart. Great Western's Great Floss makes it easy to mix and store your own cotton candy concentrate sugar. Within a 5 lb. plastic storage container (sold separately), you can simply add (1) 1/2 tablespoon or 1 tablespoon of Great Floss concentrate to 4 lb. of cane or beet sugar and mix thoroughly. Then, you'll be able to keep the concentrate fresh in the container until it's ready to use. Though it has to be mixed, this cotton candy concentrate is a great money-saving option that can save you about 65% of costs compared to ready-to-use cartons of cotton candy sugar. It produces a large number of cotton candy servings from a small amount of concentrate! This flavor is so good. It really does taste like bubble gum candy. It comes out a nice pink and the container is an amazing deal! KID'S FAVORITE!! A dash of sugar to some plain sugar and it still turns it bright pink! the kid's love the flavor and the color! Recommend ! The Great Western pink bubble gum cotton candy sugar is very nostalgic. Tastes just like the old fashioned bubble gum. A great treat and nice seller at the fair. This stuff is really neat! We do not use it for cotton candy however to decorate our donuts and it taste amazing! We had thought about a lot of things and when I saw this I KNEW I had to have it! I bought this sugar concentrate to prove to my daughter we could mix our own flavors and save a ton of money! I was surprised at how great these concentrates are! I expected the flavors of these concentrates to be the same as the pre-mixed sugars. Wow, was I ever wrong! These concentrates have much more flavor than the pre-mixed stuff. The bubble gum actually taste like bubble gum to me! Very yummy stuff. I will be buying ONLY these concentrates from now on. Buying the mix this way saves money then buing the boxes. Not only does it make more bu it saves in shopping also. Love the product will be buying more. I worked at a candy shop one time. We used this brand there. We did use a little more then what was said to mix for flavor, and when the heat got to the candy, it would turn darker in color because of mixing to much. Had little hot pink sugar balls. This concentrate saved me lots of money compared to buying the already flavored and colored cotton candy sugar. The flavour is fantastic and everyone loved the bubble gum flavor.